Five men out on a fishing trip were swimming around the boat only a few minutes before a 16-foot-long great white shark showed up to investigate the scene. While the men were watching from the relative safety of the boat, the shark circled around ominously, then disappeared. 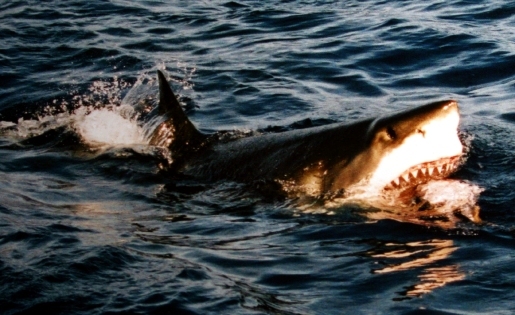 The great white shark then attacked their fishing boat, which the men caught on tape. No doubt spooked, they soon headed for the shore, leaving their hungry friend disappointed. The men were off the coast of Busselton, near Perth in Western Australia. No doubt the shark was drawn to the area by the idea of delicious seals or something else swimming around. Or maybe the shark was drawn by the idea of delicious humans. The average shark will eat anything, from tourists in the Red Sea to other sharks captured by fishermen.